Living Life One Day At A Time: Name the newest flavor of Moose Tracks Ice Cream and maybe win big!! Name the newest flavor of Moose Tracks Ice Cream and maybe win big!! Love ice cream? I do!! 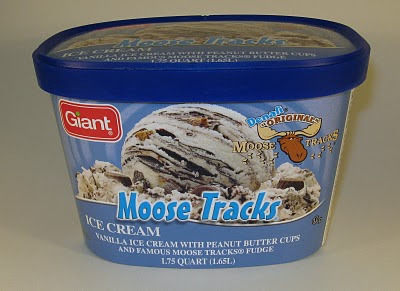 If you share my affection for the frozen goodness, then you must have heard of Moose Tracks ice cream. Moose Tracks Ice Cream is one of America’s favorite frozen treats, repeatedly ranked with vanilla and chocolate. 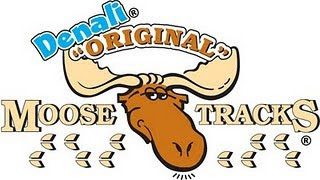 Denali Flavors, creator of Moose Tracks, is frequently coming up with new flavor combinations, and now they need your help to name a brand new flavor of ice cream. * Participants can enter by posting their name suggestions on the Moose Tracks Facebook page at www.facebook.com/moosetracks until August 13. * Denali will pick five finalists, and then America will vote on a winner, which will be announced August 27. * The five finalists will each win a one-month supply of Moose Tracks ice cream and a Moose Tracks prize pack. * The creator of the winning name will be rewarded with a one-year supply of Moose Tracks ice cream, their story out on the Moose Tracks Facebook page and a Moose Tracks prize pack. So, what are you waiting for?? Time is running out! Enter today. :) Good luck! (Oh, and if you win and live anywhere withing a three hour drive of me, I'd love to visit and have a bowl of ice cream with you.) Check out Moose Tracks' Facebook page for more information.